I didn’t say it, but I wish I did. 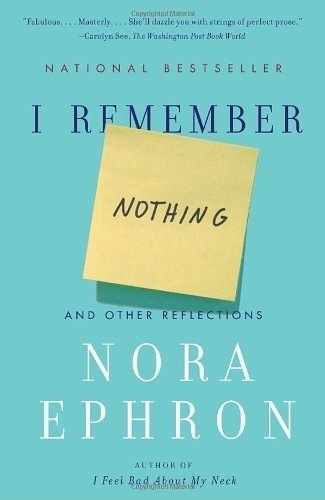 This is one of many brilliant imageries used in Nora Ephron’s book, I Remember Nothing. I just finished it, and all I can say is only Nora can describe meatloaf in poetry. If you’ve read the book, you know what I’m talking about. If you haven’t, and you’ve struggled with either getting older and/or recovering from childhood, this is a helpful read.